This place has a 2 story wow factor! This upcycled mecca for St. Louisians features a hanging wall of antique window panes and distressed milk jugs as lighting. 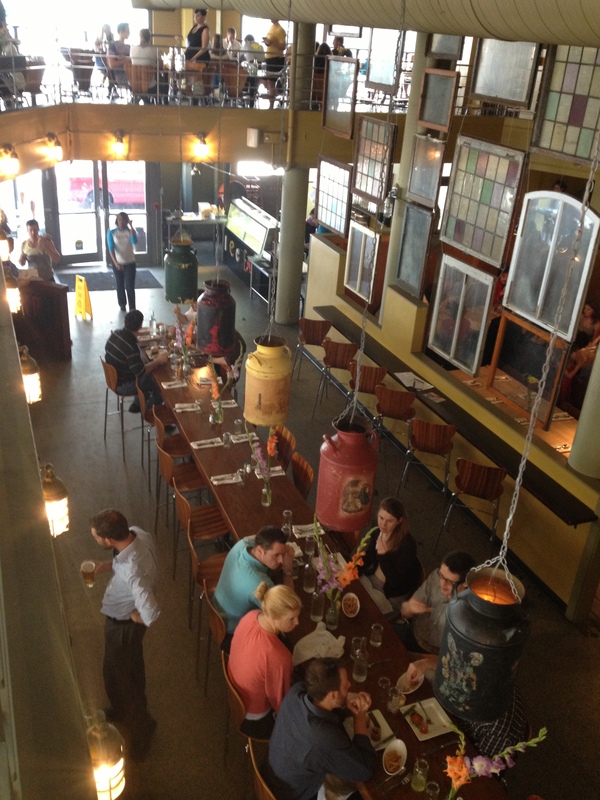 This is a fun place to bring your out-of-town friends or family for a different burger experience. 100% Grass-fed Missouri raised beef burgers, hand dipped homemade ice cream shakes, a la carte sides, and sauces made from scratch. Even the catsup ain’t Heinz! If you aren’t into the beef, they have pork, chicken, bison, duck and veggie options…these may or may not have lived life in Missouri. The burger combinations are off the wall in a good way. Don’t let this scare you away; these combos are fantastic. Bring a few Andrew Jackson’s with you ’cause these eats ain’t cheap. 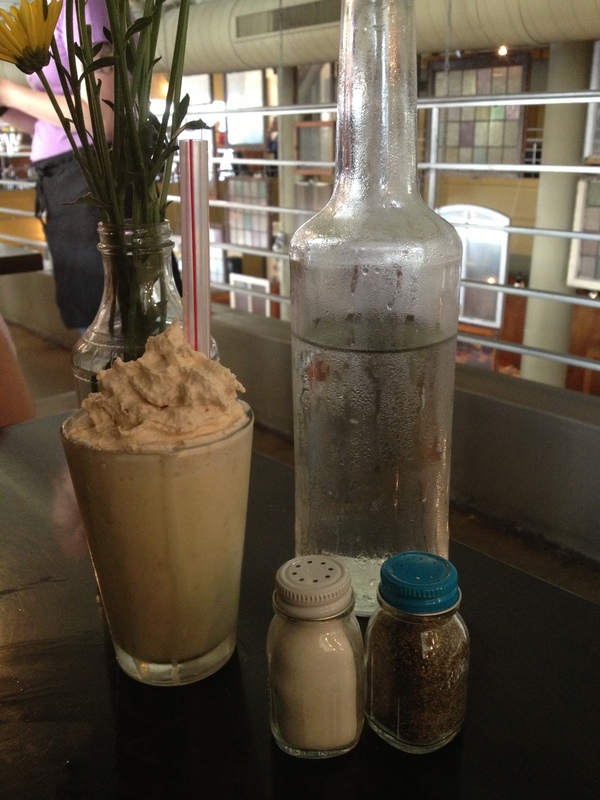 Flawless – I had the peanut butter shake and it was the best thing ever. Chunks of cold PB and soft frosty chunks of ice cream, this may sound like a chunk overload, but it’s not really. Amazing – I had the salted caramel shake. It was subtly salty which played off the sweet and creamy caramel ice cream. Flawless – Fried to perfection. Not much more I can say. It’s pretty simple. Chipotle mayo = yummy stuff. Ambrosial – Each individual fry was a perfect shade of golden brown and consistent crispiness. 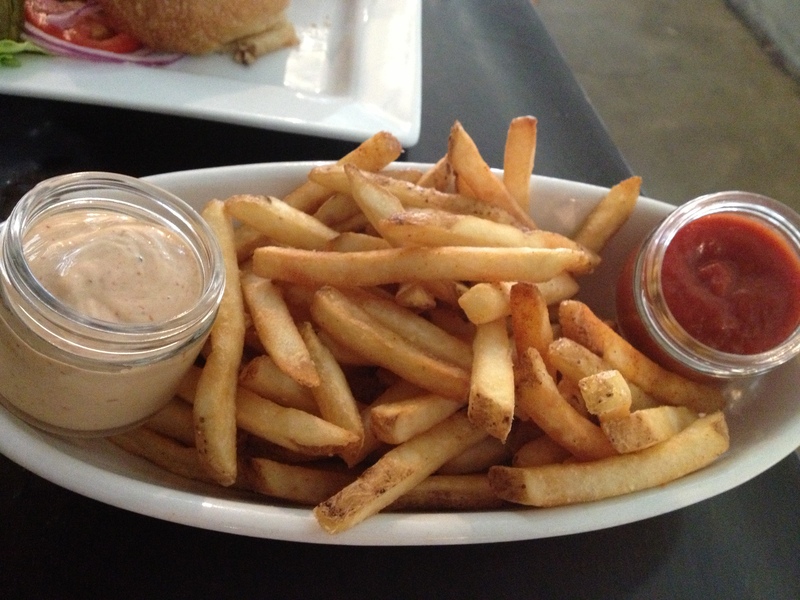 The fact that they are accompanied by gourmet, homemade sauces make the fry eating experience that much better. 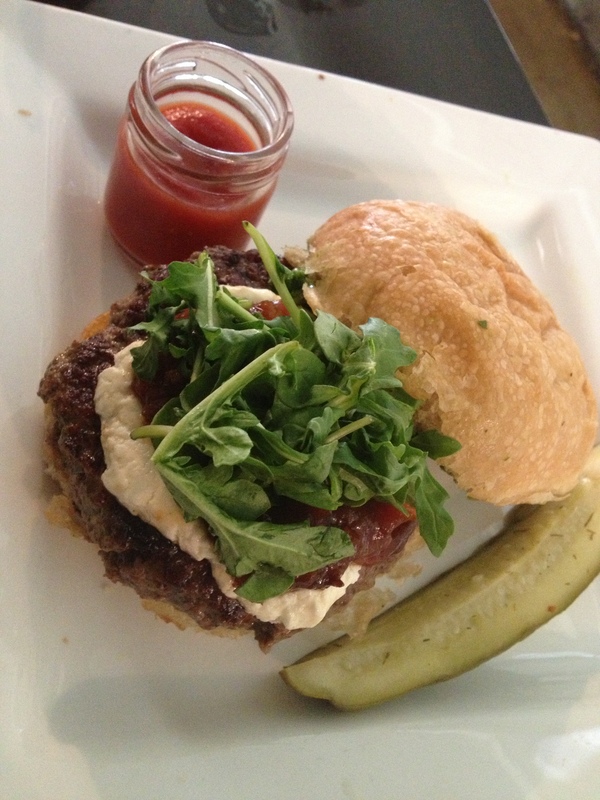 Fine – I really love goat cheese, so topping off a bison patty with goat cheese and other things is a tasty treat for me. Awesome – The burger is a manageable size with a great bun to patty ratio. The bison patty is super juicy. The arugula is a little heavy on the roughage which over powered the mix of topping flavors. Fabulous – As mentioned in above rating, goat cheese on a sandwich is amazing. And then, they make it with chipotle? OMG! Super tasty! Amazing! This was my favorite. The savory sweet with a splash of hot was a wonderful combo. 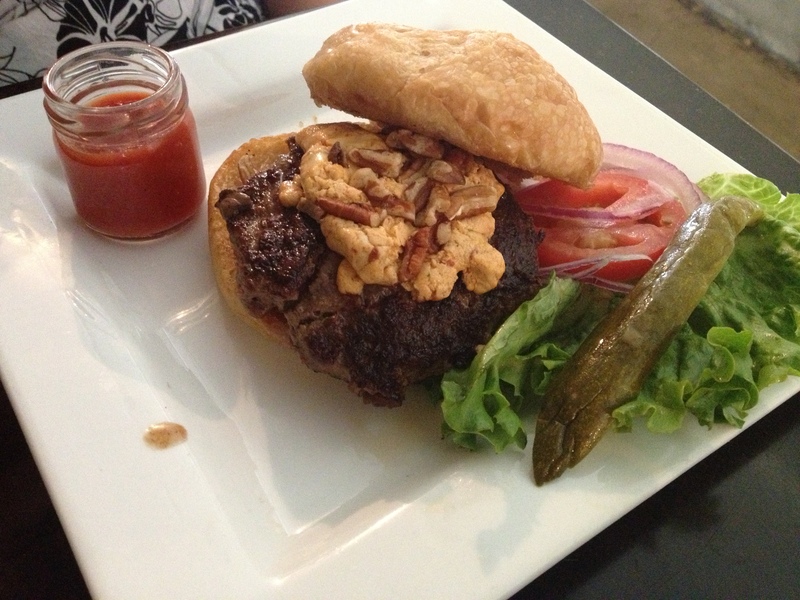 Never would have thought to put pecans on a burger. Some of you may not know that Ashley is VERY picky about her fries – so with that in mind I’m going to have to go try them!